The Avaya 1408 phone is an affordable digital handset designed for everyday users. It’s one of the most popular Avaya handsets and a great way to keep costs down without compromising on functionality. The 1408 is easy to use, feature rich, and is in a style customers are used to. For a full overview of the Avaya 1408 phone please read below. For most customers, their decision comes down to the additional price of the premium range, what they're used to, as well as any aesthetic preference they may have. 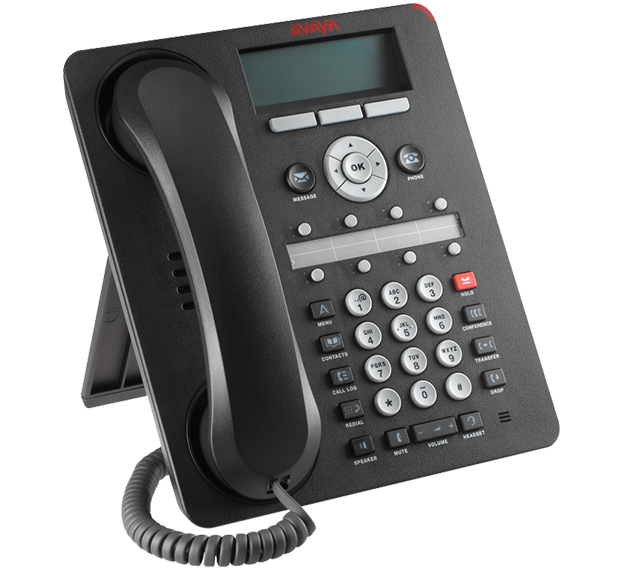 The Avaya 1408 phone is the most popular in the new Avaya 1400 series line-up because it's cheap, brilliant in its functionality and easy to use. Now it looks more like the traditional style phones that people are used to operating it's an easy choice to compliment the award winning Avaya IP 500 V2 phone system. It's more feature rich than the Avaya 1403 phone and the only real difference between it and Avaya 1416 is a slightly bigger (adjustable angle) screen and 8 more flex keys. The Avaya 1408 phone is compact, well designed and looks stylish in black. One of the best additions to the new Avaya 1408 phone is the green and red LED lights next to the programable flex keys. In a typical office you can see with a simple glance if people are on the phone or available (if that's what you program the keys for). This is ideal for small office applications in particular where you may not have a dedicated receptionist so different staff help answering calls. Avaya has gone back to a more traditional looking phone with the1408 phone and it's very much like the popular LG Ericsson, Panasonic and other competitors it comes up against in this space. Finally you can get the looks you're familiar with, combined with Avaya's market leading functionality. If you're looking to implement the awesome One-X on screen platform where you can do everything with the click of a mouse then you don't necessarily need the more expensive, feature rich 1416 phoneanyway. The Avaya 1408 phone does everything 95% of staff could want. The only real need for the 1416 is if you had a more staff and literally wanted to see more people on your handset. If you have more than 16 staff and want to do this then you'd opt for the cheaper Avaya 1408 and simply use the One-X platform. The Avaya One-X allows you to do everything you need on screen from listening to voicemail, to answering and even transferring calls, accessing personal and company speed dials and even co-ordinating a conference call. If you're looking for IP handsets to compliment the Avaya IP 500 V2 phone system then check out the Avaya 1603Avaya 1608 and Avaya 1616 models or thehuge selection in the premium Avaya 9600 series. Contact us to arrange a no obligation Avaya demonstration and see first hand how the sensational Avaya IP 500 phone system with Avaya1408 phones can help transform your business.